When will be Crazy Like a Fox next episode air date? Is Crazy Like a Fox renewed or cancelled? Where to countdown Crazy Like a Fox air dates? Is Crazy Like a Fox worth watching? Meet Harry Fox, a San Francisco private investigator who, at first glance, seems a likely candidate for early retirement. But don't tell Harry. At age 55, he hasn't slowed down one bit and is still plunging through life, streetwise, ingratiating and as irascible as ever. And even though he looks bedraggled in his rumpled clothes, Harry doesn't care. He puts his style into detective work. When a client's in trouble and Harry's gumshoe expertise isn't enough to clear him, he calls on his son, Harrison, for legal advice, which usually requires some fast talking on Harry's part. Harrison is Harry's direct opposite. At 32, he's well educated, nattily attired and stylishly groomed. In fact, he would rather run his law practice without referrals from dear old Dad. But on the other hand, when a client's in trouble and needs a piece of evidence, who do you think Harrison calls on first? It may seem a mismatched partnership, but it works—even though their cases have as many ups and downs as the San Francisco streets. Take the case of the murdered-but-not-really-dead wife. It all started with a visit from Harrison's client, out on the streets after 12 years in prison for killing his wife. He claims she's still alive, a fact Harry proves by tracking her down. But that causes an even bigger problem: the enraged ex-con has set out to kill her for real. And it's going to take another Fox hunt to find him and stop him. Just another day in the life of Harry Fox and Son. 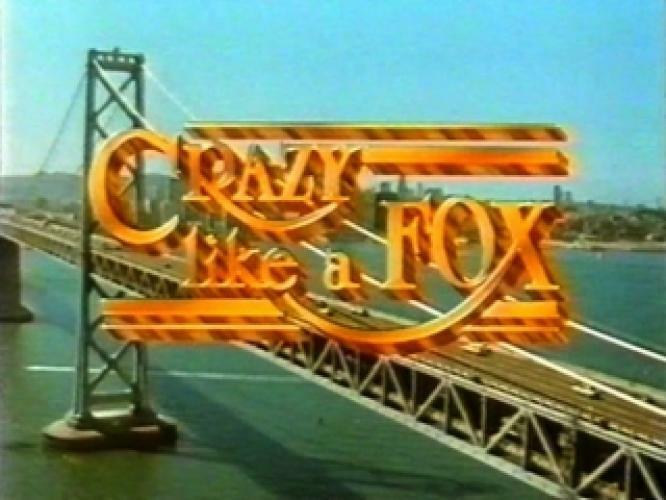 Crazy Like a Fox next episode air date provides TVMaze for you. 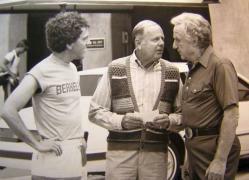 EpisoDate.com is your TV show guide to Countdown Crazy Like a Fox Episode Air Dates and to stay in touch with Crazy Like a Fox next episode Air Date and your others favorite TV Shows. Add the shows you like to a "Watchlist" and let the site take it from there.